Have you ever showered in absolute Darkness? No candles… no trickle of light leaking in from another room underneath the bathroom’s door… nothing. The Darkness I am speaking of is complete. Total. Absolute. The above is the first few lines from one of my early books, The Secret Life of Miel, and it explains perfectly how I spent these past few days because of my brutal migraine attacks. It seemed like everything I did was in darkness, from showering to laying in the fetal position in my bed to eating and using the restroom. In times of pain, the dark has always been my friend, and it did not disappoint. There’s an interesting metaphor there somewhere if your willing to look. 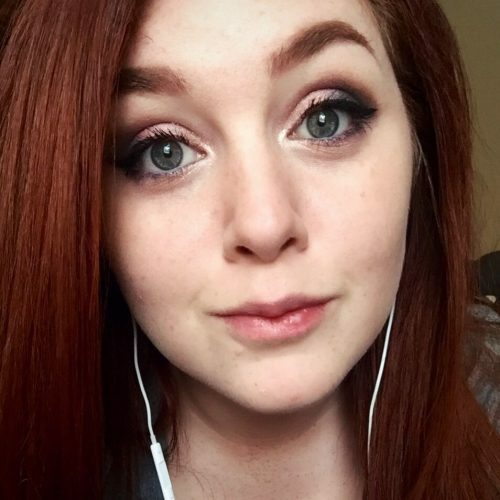 Natalie. She has been an angel these past few days, and even though I gave her these past few days off while I recovered, she came over anyway (with Anne), so they could tag-team nurse me. It was touching – and highly efficient. I love them both so much. And I have some news. The final book in the Qedesha trilogy, The Qedesha’s Handmaiden, is available for June 1 pre-order. It was an enjoyable book to write, and a fitting closing for the Qedesha saga. It goes places the other Qedesha stories didn’t, and if some of you thought Girl Fight gave you feels, wait until you read this one. Some moments will get to you, I think, because there were moments that got to me while I was writing them. One of the many reasons that I love being a writer: making others feel things using something as simple and elegant as words. Strange squiggly shapes in a document. After all, that is truly what written language is, correct? Shape interpretation? Just like verbal language is merely sound interpretation (which is why I believe animals talk to each other – we just don’t know how to interpret the sounds that they make). I love it. Writing. Beautiful. Anyway, I have a plethora of tasks to tackle that had been building up in my absence (Natalie is understandably hating me today), so I have to go. Your lucky to have friends as good as Natalie and Anne. I can’t wait to get a copy of your next book when it’s released. 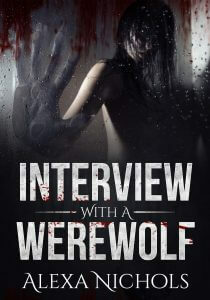 As for Interview with a Werewolf goes that cover almost fits me if he has blonde hair that is. I know I’m lucky. Being attacked with a volley of severe migraines makes you realize just how weak and vulnerable you can be, even when you think you’re made of steel. And when you are that weak, the people who stand by and support you, who not only hold you up but hold your hand… well, it makes you realize just how loved and important you are to boot. It’s a priceless feeling. And they are invaluable people. And yes, the main character of the book, Ronnie, has long blonde hair that goes all the way down his backside. I’m glad I’m back too, but to be honest, for a while there I had my doubts. You know how it is when you’re going through any sort of severe pain – you wonder if you’re ever going to recover from it. You. Are. Awesome! 💥 I checked the link you provided, and as always, it looks great. Soon the paperback and audiobook versions will be ready too, and I’ll shoot you the links.